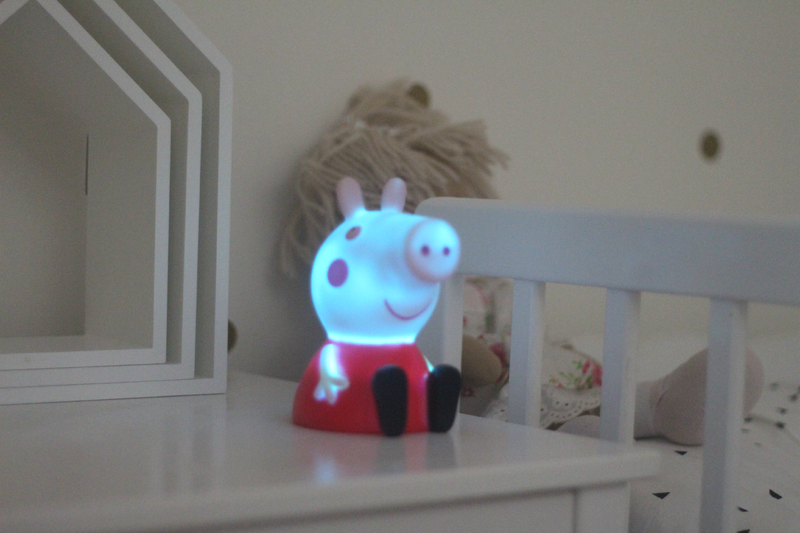 Peppa Pig is slowly taking over our house, from soft toys and little figures to pyjamas and dining wear and we now have a Peppa Pig light added to that collection! It's safe to say that Amelia has become a little obsessed. 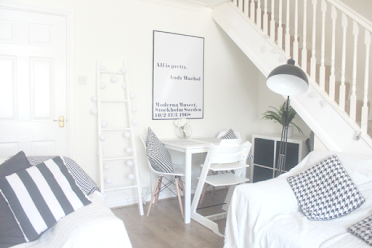 After finally getting Amelia to sleep in her own bed at two years old she went through a phase where she just wouldn't go to sleep, she would sit up playing for hours after we put her to bed and I'd be pulling my hair out because she would be up and down the stairs, jumping about and making a noise. It didn't help that it was summer either, but now with the evenings starting to get darker earlier she has been complaining of the dark and wanting me to keep the light on for her. Obviously I didn't want to put her bedroom light on because then she definitely wouldn't go to sleep, so when we were kindly sent the Spearmark Peppa Pig Illumi-Mate Light I couldn't wait for bedtime to try it out! 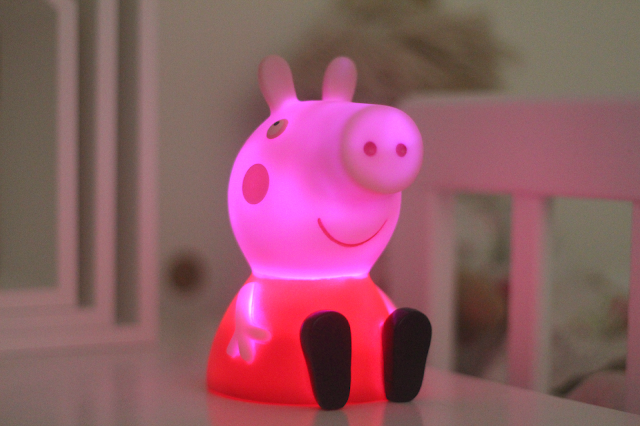 The Peppa Pig Illumi-Mate is a colour changing night light in the shape of Peppa Pig. It would be good if the light had a wall plug or you could insert rechargeable batteries as the battery has since died due to continuous use. Amelia loves it though and even when the light isn't on she will now go to sleep knowing that Peppa is next to her. To kick off our #12daysofgiveaways we're giving away one of these night lights to one lucky reader! 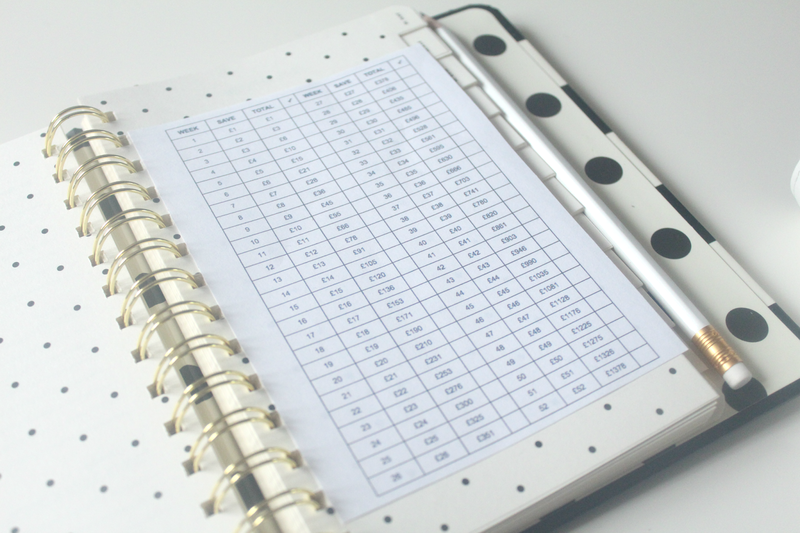 They would make a perfect stocking filler or Christmas gift. All you need to do is enter the Rafflecopter below. Good luck! Oh my goodness, my little one would go mad for this! She's obsessed with Peppa! I'm 36 weeks pregnant and only Peppa on the telly gives me 5 minutes here and there to rest. 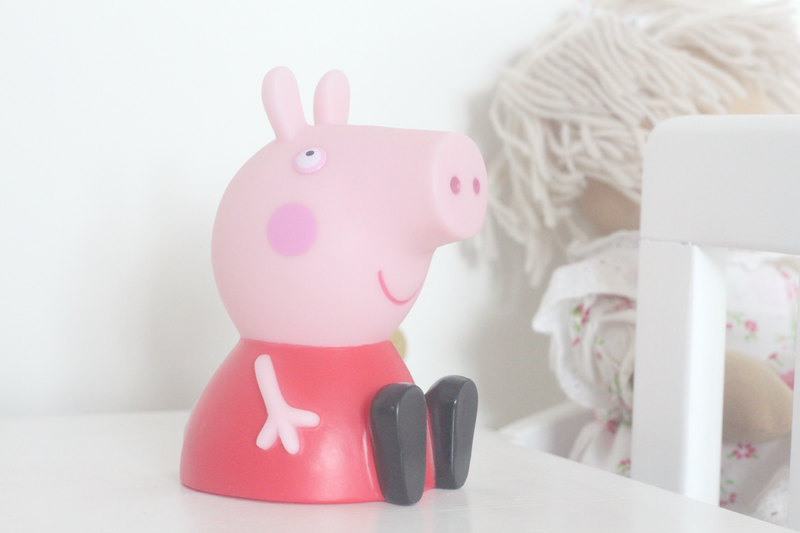 My house is also full of Peppa stuff, so this'd fit in very nicely. 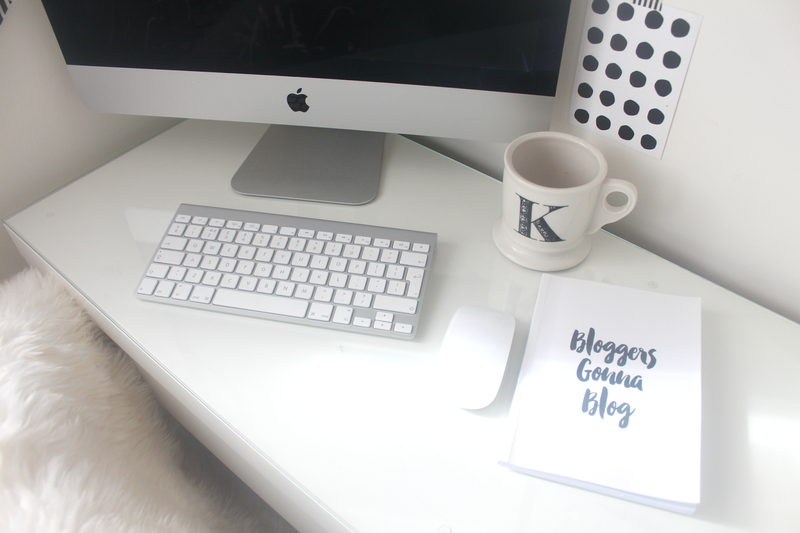 My eldest would absolutely adore this. My son adores Peppa Pig. He would love this!! Peppa pig is a huge hit in our house. I've just bought a Peppa book and dex loves it! My daughter, she is a huge Peppa Pig fan. My daughter Matilda, she loves Peppa! my little boy loves peppa! My little girl would love this. Would go very nicely in her peppa overrun bedroom. My daughter would adore this!! I think Boo would love this! Our youngest would both love and appreciate this lovely night light. My son would love this night light. My son would love this, it looks great quality. Absolutely perfect for my youngest granddaughter who is Peppa Pig mad! Also her birthday at Christmas so would make a lovely birthday or Christmas present for her. My step-granddaughter would love this!